My opinion about the use of aversion and force in dog training is no big secret. The whole concept of Bright Animals was to promote humane animal training and in home dog training as a better alternative to outdated techniques. 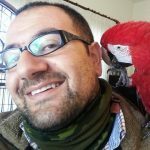 Far from being a personal opinion, you will find links to various articles and scientific studies that outline the problems of training animals using force at the end of this post. More like stuff from horror movies, the tools used in traditional training are used to electrocute, pinch and choke dogs into submission. 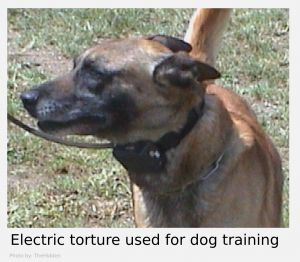 The trainer will hold a remote control in his hand and use it to deliver painful shocks to the dog's neck. This dog is fitted with an electronic shock collar. 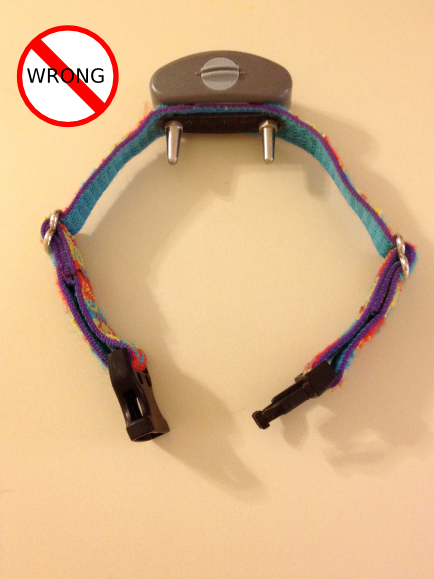 Electric training collars are already banned in Denmark, Norway, Sweden, Austria, Switzerland, Slovenia, Germany and in some states in Australia however an uninformed person looking to train his dog can often fall victim of these abusive techniques. No dog lover would accept to abuse a dog, but faced with the arguments of a convinced traditional trainer one may end up falling in the trap. Abusive trainers that refuse to evolve will often seek opportunities in places where electronic collars use is not regulated. 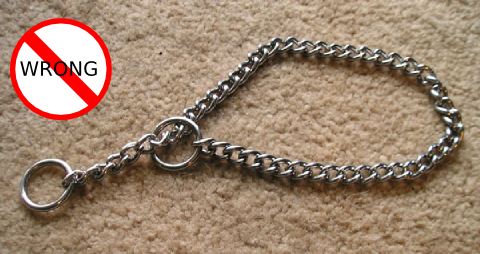 As its name suggests, a choke chain is used to inflict pain by constricting the neck. An e-collar is used to deliver painful electric stimulation to the neck area. 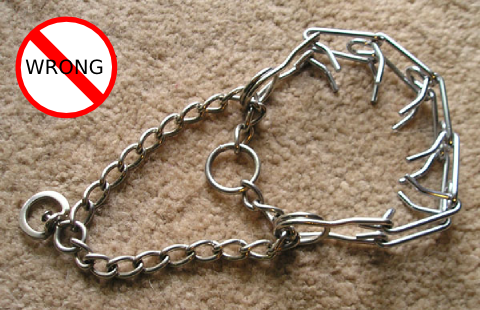 A prong collar is used to inflict pain by constricting the neck and by pinching the skin. Why are these tools so bad? I was recently interviewed by Jessy Khoury on MTV and asked to explain the difference between modern and traditional training (in Arabic). Another video (also in Arabic) I shot a few years back shows a small behavioral assessment to test the reaction of two dogs against various stimuli. One of these dogs was sent to a farm for training, the other was not. Judge the difference in reaction for yourself. The reaction of these dogs is not only related to the training method but also to the living conditions on training farms. More info can be found on this here. A dog should not obey out of fear. And training is not an excuse for a dog to get abused. Modern animal training is here to stay and it helps you create a profound bond with your dog. People involved with humane dog training smile more while working with their dogs and do not have the nasty habit of jerking the leash to force their dogs to listen. Training should be fun for both human and dog alike. To end this post on a positive note (Bright Animals students will smile), here is a video of Nana, a dog trained purely using positive methods and that shows how fun and powerful the method really is. Did you like this post? Please take a moment to share it.